Our beautiful boy Blake Schaeferle died on January 12th, 2019. We know he is with God now. He was full of intelligence, laughter, music and energy. He was only 35 years old, but lived many lifetimes in those years. He was a university graduate, grade 10 level pianist, spoke three foreign languages fluently, and travelled extensively. He believed in God. His latest trip to Australia was a long-planned trip for him and gave him great joy. Neither Sally, Tom, Quentin or Hunter will ever be the same again without him. We wish him Godspeed on this next journey. 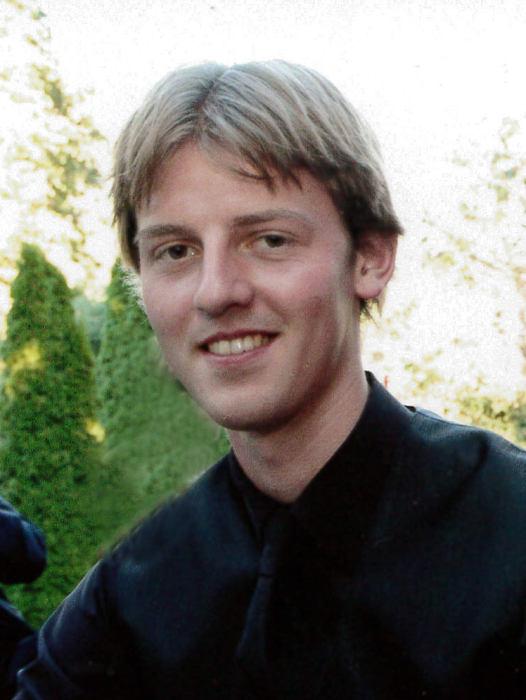 A Service to Remember Blake’s Life will be held at 12:30 pm on Sunday, February 24th, 2019 at Canadian Memorial United Church, at the corner of West 15th Avenue and Burrard Street, Vancouver. A reception will follow at the Centre for Peace across the back alley from the church. All are welcome.